This critique is on Bill Hybels who spoke on March 12, 2010 at the Southeastern University Leadership Forum. The speaker’s main purpose in this presentation was to help the audience understand that often God speaks in a whisper, and we have to be sensitive to the Holy Spirit to hear it. Bill Hybels presented two ideas that really captivated me. The first was his story of how he started Willow Creek Community Church. He talked about how they used a small local theatre and they would clean it in the mornings and get it ready for the church service. The shocking part of the story was that on Saturday evenings they would show horror films and those in the theatre would often vomit, then the workers of the theatre would leave it knowing that Bill and his volunteers would clean it in the morning because they had to if they wanted to have a clean environment for church. Mr. Hybels told us how he felt some mornings at six a.m. cleaning vomit off the floor, wondering how he had found himself in this position. What most people don’t know is that Bill hybels’ father was extremely successful and wealthy, he had offered the business to Bill, but Bill turned it down in order that he might pursue the ministry. So Bill was cleaning vomit with this taunting memory of himself turning down the family business haunting him in the back of his mind. It was at this point that Bill shared how listening to the “whisper” of God is sometimes painful and doesn’t make sense to us at our present moment. I was not aware of how Will Creek Church had started, and I was definitely not aware that Bill had turned down such an amazing offer, simply to follow a whisper. Needless to say that whisper has led him on an amazing and very successful journey. The most helpful part of the presentation given by Bill Hybels, was his sincerity. He was very calm and collected as he shared his journey, you could see the passion, pain, joy and so many emotions in his eyes throughout the entire conversation. It was inspiring to sit under a leader and hear him share his story with such joy despite all the troubles and hardships he has faced. Following a whisper is not always easy, it is often costly and difficult, but following that whisper can change your life and make you into a great servant leader. “ Sometimes God calls people to hard things, that takes someone with strong shoulders to bear it.” This is a beautiful quote from Bill Hybels, it is full of such inspiration and challenge. He wanted the audience to understand that leadership is very difficult and sometimes God will call us to bear something quite heavy and extremely challenging, but the reward for doing so is always worth it and is always life changing. Bill Hybels had so many stories and each one was filled with passion and thanksgiving, because it was clear that everything Bill Hybels has achieved, he gives God all the glory and honor for it. This was a true example of servant leadership. This critique is on John Kotter who spoke on March 12, 2010 at the Southeastern University Leadership Forum. The speaker’s main purpose in this presentation was to discuss the issues surrounding “Leadership and Change.” With the economy failing and leaders all offering new ideas of hope and change, it seemed quite appropriate for John Kotter to discuss these ideas through life examples and also business principles. John Kotter presented two ideas that really captivated me. The first was idea came in the form of the story of how Mark Kay was created. He discussed how when this organization had started, he rushed down to one of the local business meetings that was being held by the owner and founder of Mary Kay. He described her as a very sweet southern girl and how the people were just captivated by her. He pointed out that she had what seemed to be a “board” of people that handled different aspects of the company. He ended up meeting one of the women that works on the business end of the company and asked her to answer some questions as to how the company runs. She answered his questions brilliantly and broke the company down into four or five main people showing where they would all be on a business chart. This story was extremely intriguing and I never knew that the company was so well organized and strategically planned out. The idea was that through delegation, Mary Kay has become a huge success and a model of a true American dream of starting something from scratch. The second idea he shared was the story about a Japanese leader who grew up poor and founded many companies that we ourselves use probably daily. He told the struggle that this leader went through and how he had to overcome hardships and struggles. Through all of it, he was always the first to throw himself on the chopping block, he always took the brunt of the “blows” that his company and workers faced. His companies still stand to this day and are huge monuments and models of how an origination has to change with the times, and how it can be made up of honesty and loyalty and still succeed. The presentation was very inspiring to me, I was given the opportunity to sit under a Harvard professor and learn from him for just over an hour. He is truly a brilliant man and creatively showed us what leadership looks like, and how those leaders must change to constantly advance. It was an inspiring presentation. “People come to work everyday determined to exploit real opportunities and avoid real hazards.” This was taken from the notes given in his lecture; he was discussing what false and true urgency look like. He was discussing the issue of complacency; many people become complacent and don’t chase after the extraordinary because they are afraid. When true leaders step up to the plate, they must be willing to do things differently, and explore the unknown regions. Over all John Kotter was extremely interesting and his style quite different from the other speakers, it was an privilege to sit and hear him speak. This critique is on Marcus Buckingham who spoke on March 11, 2010 at the Southeastern University Leadership Forum. The speaker’s main purpose in this presentation was to explain the differences between strengths and weaknesses. Often leaders become very frustrated with themselves because they can’t seem to perform at their best, Buckingham went into great detail, of why this is. Marcus Buckingham presented two ideas that really captivated me. The first was this question of “why do we focus on trying to do or be better at weaknesses?” This question came as a shocking revelation; most everyone spends huge amounts of time trying to improve in areas that they are not good at. Buckingham was challenging the leaders in the audience to re-evaluate this way of thinking; he wanted the audience to consider the possibility that improving weaknesses are actually counter-productive. Another great point that came out his discussion was closely related to the first, “we think that our weaknesses have the most opportunity for growth.” This is in fact completely the opposite of the truth, but most people look at their weaknesses and see tons of opportunity, when in fact it is actually wasted energy. The flip side is that in our areas of strength lies true opportunity for growth. In someone’s strengths/giftings, there is a multitude of opportunities and successes waiting to be had. This is a complete contradiction of society, where there are books on every subject for “dummies,” there are tons of programs and television ads that encourage you to improve in this area or that area, but maybe in fact the things you want to improve are truly areas you should work around. Great time spent in strengths equals great victories. This of course isn’t saying that people shouldn’t work on some areas of their life where they struggle against moral issues and such, but it actually applies and makes sense even in those areas too. If you struggle with certain “sins,” it would be better to find ways to avoid acting upon those urges, opposed to trying to face those sins and failing, it would be better to admit weakness and avoid being caught in those distresses. I told Marcus Buckingham that this was one of the best presentations on this subject that I had ever heard. It is hard to pick one or even two things that truly inspired me from this presentation, but I will attempt to choose one regardless. I would say for me the most helpful part of this presentation was Buckingham’s points on “weaknesses.” I have spent countless hours and years trying to improve on areas that I am just not good at, and realizing that I am not good at them and accepting that is a truly liberating feeling. I have yet to reach this point but because of Buckingham’s inspiring words I feel that I am one step closer to lean on my strengths instead of my weaknesses. “Your strengths aren’t what your good at and your weaknesses aren’t whatever your bad at.” This statement was incredible. At this point in the presentation Buckingham showed us how to break down a list of strengths and weaknesses and then create statements to live our life by. Often you can be great at something, but if you hate doing it, then it is actually a weakness. There are things in my own life that I am good at doing, but I don’t like doing them, therefore when I do them with a motivation of “have to,” then I am actually being counter-productive. Many leaders would greatly benefit from engaging in this practice of evaluation, I can’t imagine how many leaders spend years of their lives attempting to be great at things they were never meant to be great at. How much more effective would each person in this world be if they simply did what God created them to do and stopped trying to be “great” at something that is truly a weakness. This critique is on the presentation given by Brian Houston, who spoke on March 10, 2010 at the Southeastern University leadership forum. Brian Houston presented two ideas within his presentation, to which I was unfamiliar with. The first one seems so simple upon reflection, but is often overlooked and not put into action. “Influence doesn’t come from doing things the way they have always been done.” This statement could change a lot of leadership styles within the church if it would simply be accepted and put into action. More often than not, many leaders especially in the church are afraid to think outside the box because they don’t want to fail, or they don’t want to upset people within the church. If a leader is truly going to be great, they are going to have to do things differently from how they are always done, otherwise they will simply become a copy of someone else. Another great idea that Houston presented, to which I had not thought of, was that “books hold the danger of pointing back to what’s already been done.” This is completely opposite of what most leaders are taught through their educational years. It is a dangerous way of thinking, but in context it actually holds a lot of value. What Houston was saying, was that books are a great thing, but often we never look within for creativity, God has given each person an ability to create. When leaders rely simply on books and other people’s ideas, they are not creating anything new or unique. Brian Houston was very passionate about emphasizing the idea that to be truly great, means that you must honor the leaders before you, but lead in a new and fresh way in the present. This to me was the most helpful thing that I pulled out of the presentation. Often it becomes so easy to rely on other leaders’ ideas and concepts and not be faced with the pressure of being original. This way of thinking will not make for the catalyst of change that people desire. Leaders have to be original and one of a kind, it is here that people following them will lean how to find their own identity. “Culture makes a great servant, but a terrible master.” A lot of people fall victim to what is expected of them by their culture, family, history, etc… If these fears and doubts were overcome, than more leaders would be free to explore what is out there and to strive to be great. As mentioned before, Houston mentions that even your heritage does not define hold you back; a perfect example would be Martin Luther King Jr. He was able to use his heritage to become a great leader; it did not use or control him. To truly become a great leader, you must be willing to go where no other leader has gone before, while still honoring and respecting those that have gone before you. This is a critique of the presentation given by Andy Stanley on March 11, 2010 at the Southeastern University Leadership forum. Andy Stanley’s main point in this presentation as that you have to find the areas in which you are good at and stick within that area. Andy spent a lot of time explaining that often, great leaders become overwhelmed and less effective because they don’t want to pass opportunities off to other people. I was not aware that delegating things you hate to do is wrong. Andy Stanley explained that there are jobs that he loathes as a person and a leader, and he feels that passing them on to other people is somewhat degrading to that person. The reality is, that often those people who feel gifted in that particular area will not only love the opportunity, but will do exceedingly well within that area. God has called everyone to specific jobs and tasks, sometimes answering the phone at a local business or church may be the one thing we are terrible at, but it may be the one thing that someone else is great at. This is a principle that Andy Stanley talks a lot about in his book, The Next Generation Leader. Another thing that Andy Stanley talked about that I was previously unaware of, was that “the less you do, the more you help others.” This sounds ridiculous but in reality it makes a lot of sense. If you are constantly taking on all the jobs within your organization, not only are you overburdening yourself and thus becoming less effective, but you are taking opportunities away from others who would have done great in those positions. Leaders love to do everything themselves, and as a result they often do not leave much room for others to step in and try their hand at a task. This is a mistake that needs to be avoided at all costs. I would say the most helpful part of the whole presentation was seeing how successful Andy Stanley is at utilizing those around him in a positive and uplifting manner. Often it is easy to pass responsibilities on to other people simply to avoid work, but to delegate and train those individuals is much harder. For Andy Stanley it is important that not only are those jobs delegated, but that those to whom they are give are trained to become leaders themselves. This is not something you see a lot of in a time when “selfishness” and “success” have run rampant. This philosophy is the complete opposite and emphasizes the importance of others and works to build them up to become “future leaders,” as Andy Stanley likes to call them. “I am more valuable in my sweet spot and exploiting my strengths.” This quote really sums up what Andy Stanley was saying all throughout his presentation. If you are a leader and have become stressed, apathetic, and plain frustrated, it is vital that you step back and ask yourself if what you are doing is actually something you should be putting time and effort into. Often we can be good at multiple things, but if we do multiple things and neglect the “one thing” that drives us, then we are not being effective. This is all what Andy Stanley was saying through each story and illustration, and it would be best to take these ideas and concepts and put them into action. Leaders need to be effective and strategic, without being strategic your “effectiveness,” may in fact be hindering you in the long run. This is a critique of the presentation given by Patrick Lencioni on March 11, 2010 at the Southeastern University Leadership Forum. Patrick Lencioni wanted the Audience to “get naked.” Well not literally, Patrick Lencioni wanted the leaders in the room to be open and genuine with the people they work for and those under them. He wanted the leader sin the room to understand that “getting naked” for their client or those working under them can often be challenging and uncomfortable. Sometimes you have to take the blame, or put yourself on the line in order for positive results to occur. There were two pieces of information that Patrick Lencioni gave that I had not considered prior to this presentation. The first is that we have to learn true vulnerability. This means that you have to get over the fear of “losing your company.” Patrick emphasized here that you have to “consult and never sell,” often businesses make it very clear that they simply want your money, but when you consult and help those clients then often they will be more than happy to pay you for the great work you have accomplished. This is extremely vital to any kind of business or even the leaders that run them. Without being vulnerable you are constantly hiding some piece of information or maybe an agenda, which will be exposed, and cause harm to a relationship whether business related or personal. The most helpful part of this conversation for me, was that Lencioni was coming from a different world. His company is very business oriented and gives an entirely new perspective on how someone remains and or becomes a servant leader outside of ministry leadership. He was able to shed light on ideas and concepts that are extremely beneficial to not only business people, but also ministry leaders. Sometimes it is necessary to step back from the job or field in which a leader works and to look at how other individuals have implanted greatness within their specific field, which may completely differ from your own. Here in that place of uncertainty and difference, a lot of lessons can be taught and shared with multitude of leaders within many different occupations. “We want trusting relationships.” Here Patrick Lencioni emphasized that not only do companies, clients, co-workers wanted to be able to trust a leader within the job context, but outside of it as well. Leaders not only need to be genuine at work, but also at home. True leadership doesn’t start when they walk into the doors of an office, it is when they get down on their knees and pray to God, when they love their family and friends with a servant like attitude, and when they are willing to be so vulnerable and so “naked,” that everyone around them wishes to follow them in order to learn to live such a full and joyful life. 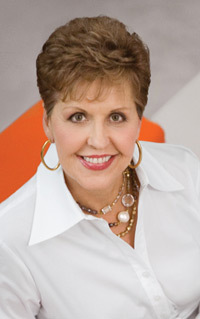 This is a critique of Joyce Meyer, who spoke on March 11, 2010 at Southeastern University’s Leadership forum. Joyce Meyer opened her presentation by titling it, “The courage to be a leader.” Meyer wanted to push for this idea that no matter what hardships are faced a Leader must push through in order to pursue their God given purpose and their dreams. “All true success and happiness comes from trying to make someone else’s life better.” This statement really took hold of me and caused me to rethink the definition of success. Often time we are so consumed with this idea that success is measured in terms of numbers or money, but in reality maybe success is not entirely tangible. When you go forth in the effort to change other people’s lives, you actually are changing the world simply one person at a time. This in fact truly defines success, after all isn’t the goal to change the world for Christ? Another thing that Joyce Meyer mentioned that I had not really thought of before, was that “fear used in the bible means, don’t run or flee.” This is a mind-blowing revelation, the believer is not being told that if you fear you are sinning, but is being told not to run. Basically Christians face many trials and things that can truly shake our faith, but the key is not to suppress emotions or feelings, but simply don’t back down from them. Joyce Meyer was telling us it’s ok to be afraid, but it is not ok to run away from what you fear. The most helpful part of this presentation for me, was when she told the story of her journey to where she is now. It was amazing to hear of all the trials and failures that she experienced in order to get to where she is today. She spent a great deal of time discussing how she tried to find her identity in different things aside from the ministry. She spoke of how these were some of the worst times she can remember. There was a specific trial of one year that truly tested her, during this year she stayed home and tried to act as a “stay at home” woman. Here she met some of the loneliest and frustrating days of her life. She went on to explain that through all of those trials and frustrations during that year, she came out of it knowing exactly who God had called her to be. This is like “gold” for a new leader, the encouragement and the model that Joyce Meyer set forth for the audience was priceless information. “God will never help you be anybody but you.” These words spoken by Joyce Meyer ring through my ears and down into my soul. God has called all of us to do and be someone unique, not a copy of someone else. Joyce explained that often we get mad at God for not helping us do something, when in reality God is in heaven saying, “I never called you to do that in the first place, therefore I’m not responsible to bless it.” Of course I’m not trying to delve into the theological ideas of that statement, I’m simply acknowledging that God wants to help us with the things he has called us to, not to things that will only take us further away from our destiny. Leaders often struggle with this, because they want to be like so many other great leaders, and sometimes that go as far as dressing and acting like those individuals.